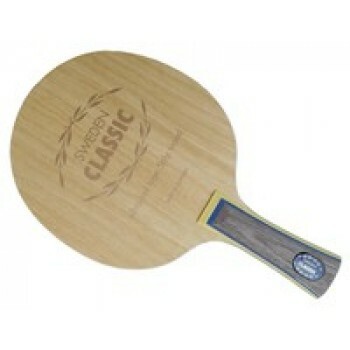 Sweden Classic Japan is a blade that has unsurpassed ball feeling and superb control which gives a perfect blade for players that can mix technical attack near the table and top spin play short distance from the table. 5 wooden veneers. Produced in the famous table tennis factory in Tranas, Sweden. Factory Sealing Process is included.